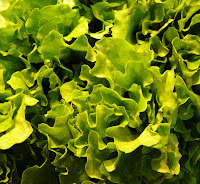 Retention Partners Blog: What Lettuce and employee engagement have in common! What Lettuce and employee engagement have in common! So, years ago someone explained to me the principles of sales. ‘Lisa’, they said, ‘imagine that you’re selling lettuce. There’s going to be a third of the market that LOVES lettuce and they’ll find you and buy your lettuce and keep coming back for more’. ‘And there’ll be a third of the market, that you’ll have to go and find and persuade of the benefits of lettuce and then they’ll agree and buy your lettuce’. ‘Then there’ll be the third of the market that doesn’t like lettuce, will never like lettuce, won’t buy your lettuce no matter how cheap or delicious it is’. Your workforce is kinda similar. There’s a big group who come back day after day, saying ‘yes, I like what this company offers’. There’s another group you have to work on: they’ve already bought your lettuce (read: ‘accepted the job offer’) but need more reasons to keep eating it. And there’s a group of your employees right now who have decided that they don’t like your lettuce anymore, no matter what you say or do to persuade them. So where do you focus your efforts on? The happiest group? The disgruntled group? We would say, forget the really disgruntled group. Your best efforts are spent on moving the reluctant lettuce-eaters to be more enthusiastic first, then focus on keeping the happy ones happy. That way, you’re growing a bigger core of employees who are more likely to stay and to perform. THEN you can spend time figuring out what turned off so many employees, or why potential employees don’t apply to you in the first place. I know employee engagement is trickier than selling lettuce, but think about segmenting your workforce in those three groups – it might help you re-focus your efforts. One client’s employee engagement survey showed that 24% of employees self-declared that they were actively disengaged! Let us help you with your engagement strategy and help protect your revenue!